Book Review: A World Without Princes by Soman Chainani. Goodreads Description: When Agatha secretly wishes she’d chosen a different happy ending, she reopens the gates to the School for Good and Evil. But the world she and Sophie once knew has changed. 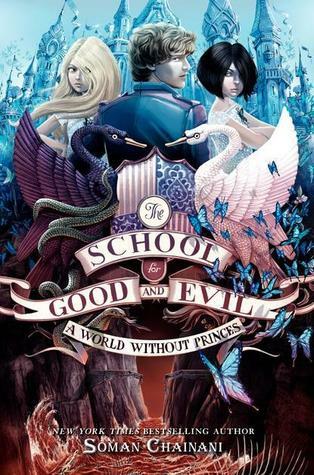 My Review: Sitting down with Soman Chainani's sequel to School and Good and Evil, I was excited to get drawn back into his fantastical world. 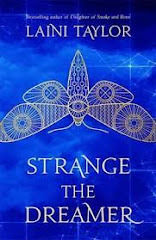 Chainani's easy and simple writing style makes this a relaxing read, but the simple read should not be confused with a simple story, as this book is just as intricate as its predecessor. Where The School of Good and Evil stretched its arms wide, strongly establishing the world in all its wonder, A World Without Princes hugs you close, focusing in on the characters, their motivations, actions, and the consequences they bring. We start with Sophie and Agatha in their world and are quickly taken back to the School of Good and Evil, where their fairy tale ending (a witch and a princess choosing friendship over love) has changed everything. The line is drawn between Girls and Boys now, which creates a very interesting dynamic throughout the book. The best part of this book are each of the characters and their motivations-- each time they try to do what is right, they end up causing severe problems for those around them. Agatha's wish for Sophie doomed the princes to be ostracized and treated as slaves-- who could blame them for wanting their homes and lives back, or for revenge? Agatha's attempts to right their fairy tale only drives more divides between herself and Sophie. When Tedros attempts to go after Sophie instead of kissing Agatha, he ruins his chance of righting everything. In this way, each character is their own villain and hero, for everyone's reasons for their actions come from a place of sympathy, so who do you root for when everyone is in the right and the wrong? Sophie and Agatha's relationship continues to be the focus of the story, and I can't help but love both of them more and more as the series develops. I particularly liked Agatha in this book, as we get to see her make some questionable decisions that negatively impacts her relationship with Sophie. Also, Tedros' character takes a complete flip as he shows up as a villain and drives a further wedge between them, yet with a justified reason that doesn't make him come off as a complete jerk. The root of this story comes from love-- love between a boy and a girl, best friend love, love between two girls, love between two boys. The interesting part of this book is how it tackles feminism, gender roles, and the eternal battle of the sexes. At some points, it can seem a little sexist in the way it seems to push the princess/prince ending as the "correct" ending, though by the end of the book it becomes clear that this ending isn't necessarily a good one. Within this book alone, we have girls kissing girls, boys masquerading as girls, girls masquerading as boys, blurred gender roles, and the overall tone of acceptance makes this book feel very progressive. This book is filled with tension and a wonderful story that builds on what's established and ends on a powerful note that hints at the conflict for book three. A World Without Princes was a great second book, but in no way did it feel like a bridge between two parts. It had a full, fleshy story of its own that stands on par with its predecessor, albeit with a slightly different focus. TL;DR: 5/5 stars. A solid, exciting middle grade with a very progressive feel.